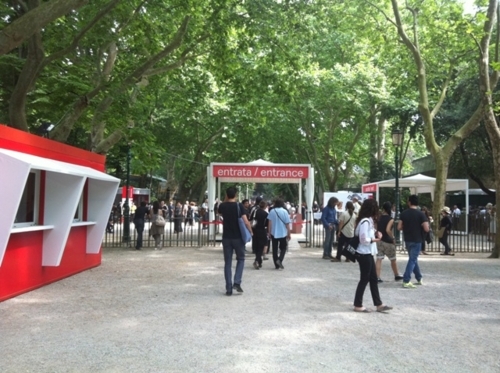 ヴェネチア・ビエンナーレ開幕！Venice Biennale Japanese Pavilion just opened! 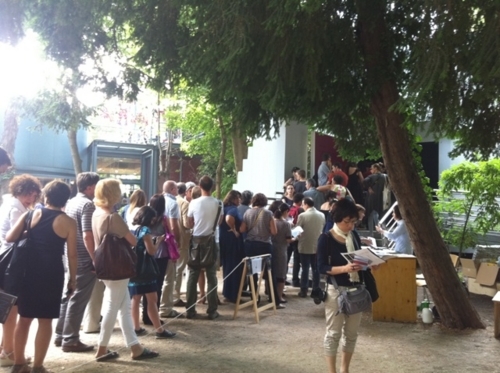 the latest news from Venice Biennale Japanese Pavilion which has just opened! I just got pictures from Venice at the last day before public opening. It seems many people are already at Venice from all over the world! 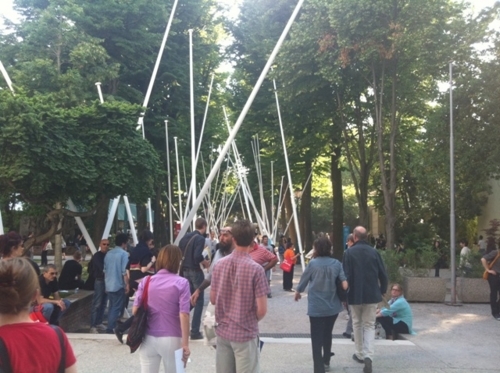 People are queuing to get into the Japanese pavilion. At the opening reception, they had this invitation. 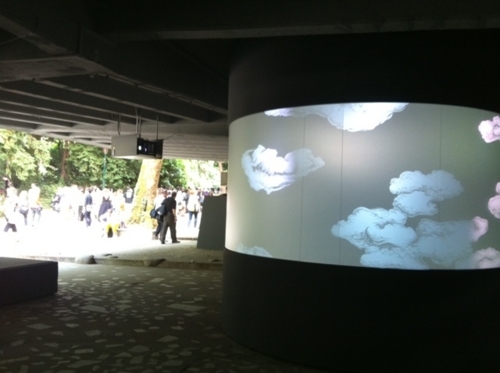 People are curious to know what Tabaimo and the Japanese Pavilion shows. The detail of the press paper in the picture is on our website. This is not the inside but UNDER the pavilion. Let me see inside too....!!! For more details of the work, please visit the Japan Foundation's website! So how is it inside and how is the work? We will find it more soon! I am glad to share this story for my (probably) last blog post. Thank you all for reading until today. Please welcome new team for 2011. I might come back occasionally, but until then, Sayonara! 想いはとどく Your heart can reach us.